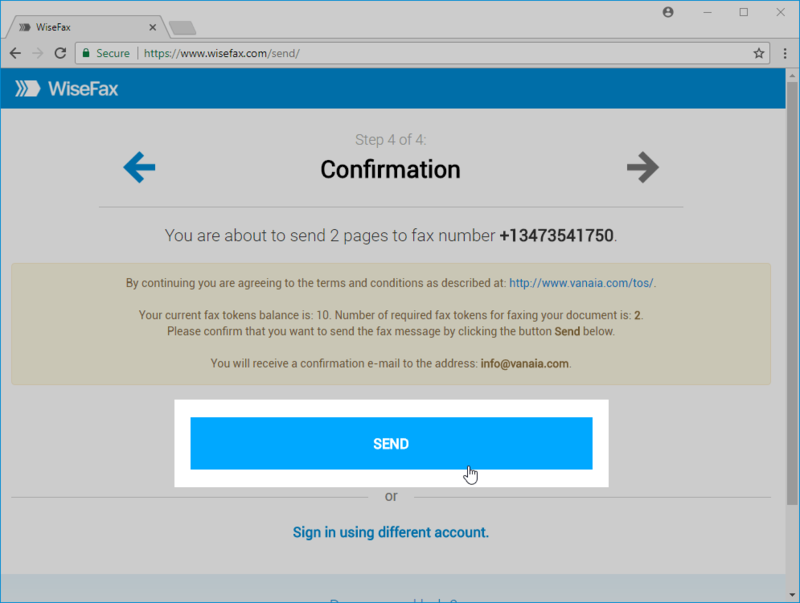 How to send fax from Chrome? 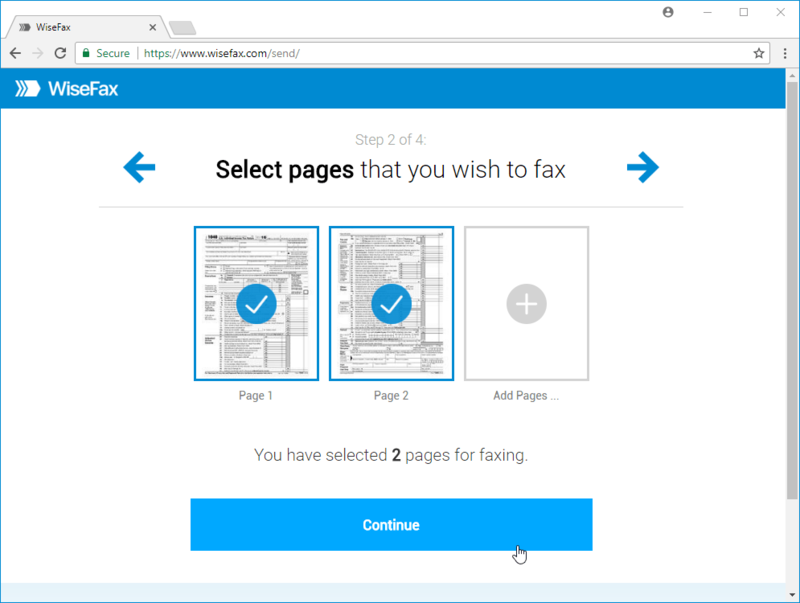 Sending fax from Chrome browser by using WiseFax extension is a very easy procedure. 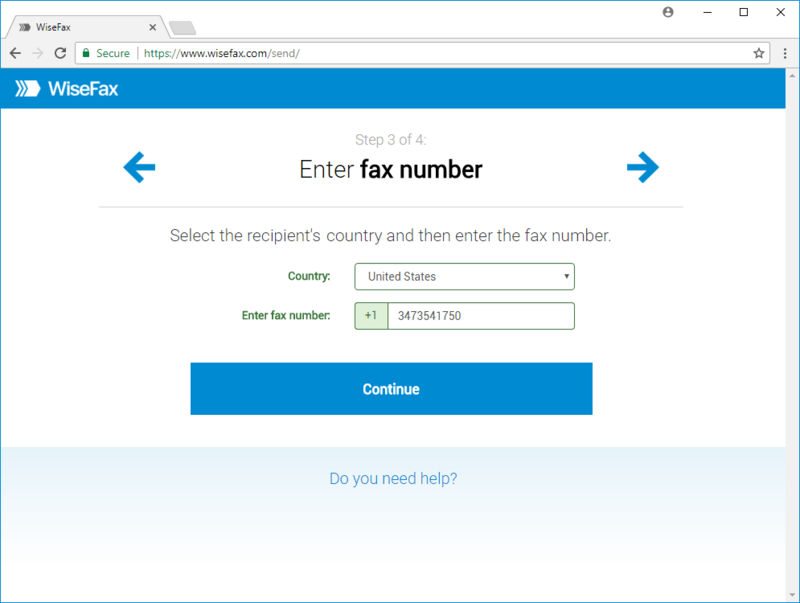 We will tell you how to send fax from your browser with WiseFax. You must use Google Chrome browser, where you install Wisefax extension following this link. Click Add to Chrome button and then confirm this by clicking Add extension in new window. WiseFax extension is added to Google Chrome. 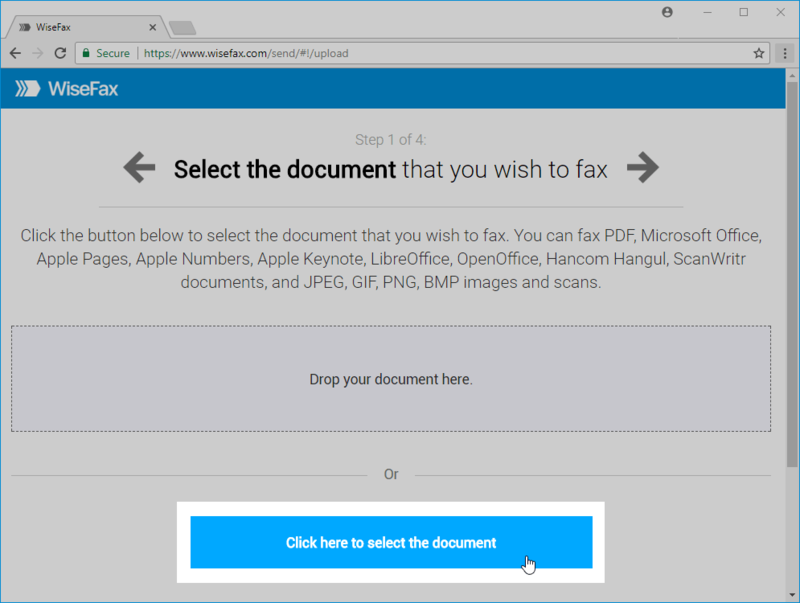 To send fax from Chrome, click the WiseFax icon – it’s a blue right-facing arrow icon in the upper-right side of the Chrome window. WiseFax will open in a new tab. Select pages that you wish to fax. If you wish to add additional pages from another document, then click on the Add Pages and select the document that you wish to add pages from. Press the Continue button, once you have selected all pages that you wish to fax. You can sign in with the same account that you also use to sign in into Google Chrome. To do so, click the Sign in with Google account. 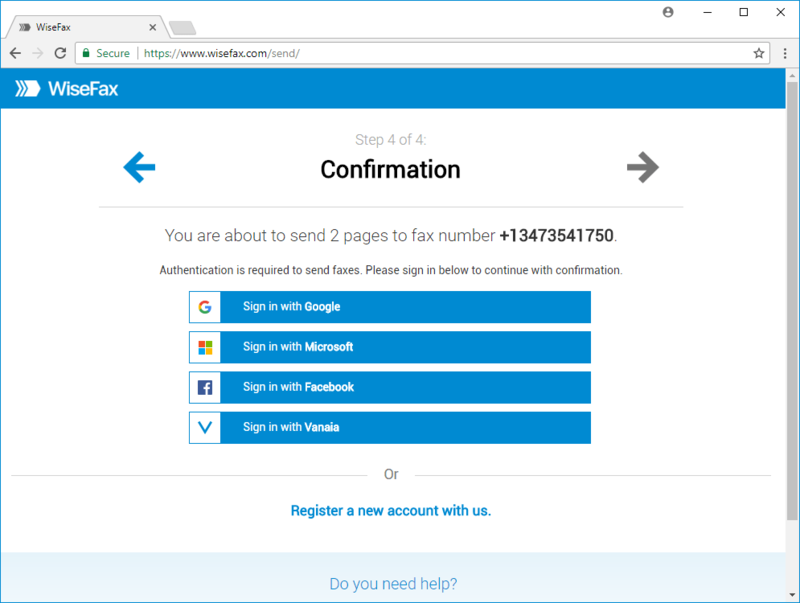 Select an account that you wish to use to fax your document. You can also sign in with your Microsoft Live, Facebook or Vanaia account.